07/25/13, 09:49 AM | Solar & Wind | Apricus Inc.
Abengoa is the leading Spanish company for international patent applications for the second consecutive year. ---- Abengoa has a team of 737 researchers, the largest R&D center in Spain and the largest demonstration platform for new solar energy technologies, located in Sanlucar la Mayor (Seville). One of the key factors contributing to this market growth is the benefits of using such storage in solar plants. After the large success of their community initiative in Utah, IWS is taking its renewable energy to the residents of Idaho. Expanding their products means educating new potential customers. PV-DIESEL hybrid solutions combining PV panels and a diesel generator as a backup power source are being increasingly used in emerging countries to generate electric power and reduce diesel fuel consumption.---- The PV-DIESEL systems by PROINSO are made up by modules, SMA inverters, SMA fuel save controllers and MECASOLAR structures, with an expected return on investment period of less than six years.---- The PV-DIESEL hybrid systems presented by the multinational at the Solar Energy Technology Forum held on 18 July in Coimbatore, India, were highly acclaimed.---- From 24 to 26 July this week, PROINSO is exhibiting these systems at PV Japan in Tokyo. PV Japan, the leading solar PV power trade show in the Asian country, will also make a good opportunity to present PROINSO's PV product catalogue.---- Both India and Japan are priority markets to PROINSO, as part of the company's strategy to focus on emerging markets with good growth prospects in the PV solar industry. 07/25/13, 06:52 AM | Solar & Wind | canadian association for renewable energies (we c.
Canada's annual growth of renewable energy will be 1.6% until 2040, compared with 1.8% for the United States and 2.5% for the world, according to the latest projections from the US Department of Energy's statistical agency. Chinese and European authorities agreed to set a minimum price on Chinese solar panel. After several weeks of discussion, both sides, are aiming for an amicable issue to their dispute over Chinese photovoltaic panels. 07/24/13, 04:01 PM | Solar & Wind | SolarPower Restoration Systems, Inc. 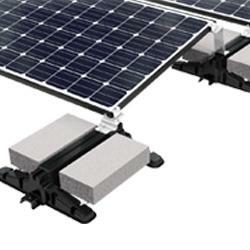 The United States Patent and Trademark Office has issued a patent (US 2013 – 8,372,226)to SolarPower Restoration Systems based on the company's proprietary SolarSeal Technologies™, titled "Elastomeric waterproofing and weatherproofing photovoltaic finishing method and system"
As Chicago moves towards requiring energy benchmarking, Cost Containment International is offering the service at no-cost to its energy clients. The global inspection and testing equipment market in civil engineering is poised for robust growth in the next five years. The testing market is gradually becoming more influential with each passing day as safety and quality control are becoming the basic needs of the civil engineering industry. Four of the five concentrated solar power projects in India, with a total capacity of 470 MW have missed the scheduled commissioning date, 9th May, and are running way behind project schedule.